Real Estate, DUI, and Estate Planning Attorneys in Lombard, IL | Fournier Law Firm, Ltd.
Do You Need a Skilled Attorney in Lombard, IL? 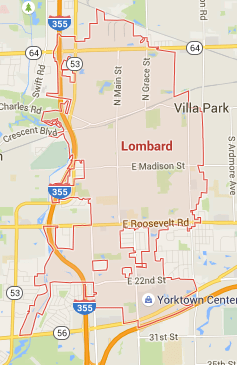 If you are like most Lombard, IL residents, chances are good that one day you will need to consult an attorney. Whether you are buying a new home in the 60148 ZIP Code, creating a will, or pulled over for driving under the influence, at some point you will likely need the help of a lawyer. When that day arrives, you will find talented attorneys available to assist you when you contact Fournier Law Firm, Ltd. They know Illinois law and will work hard to meet your legal needs. With more than 70 years of collective experience practicing in real estate, you can feel confident that the attorneys you will reach by calling Fournier Law Firm, Ltd. will provide high-quality legal services. Call 630-792-1000 today to schedule an appointment with an attorney to discuss your real estate, estate planning, or DUI needs. Or, if you prefer, you can submit a request though our online contact form and a member of our staff will be happy to answer any questions you have about the services we provide. Planning to Buy, Sell or Lease Real Estate in Lombard, IL? To make an appointment with Harry J. Fournier, call Fournier Law Firm, Ltd. at 630-792-1000. If you would rather have a member of our staff contact you, complete our online contact form and someone will contact you shortly.